First off we check the local sci-tech calendar. Coming up on Friday, March 10 and Saturday, March 11, is the next AT&T Hackathon taking place at Sacred Hearts Academy. 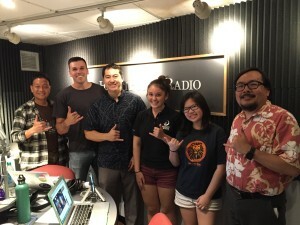 Then during Spring Break, March 20th through 24th, PCATT — the Pacific Center for Advanced Technology Training — will be hosting a “Gencyber Student Spring Camp” at Honolulu Community College. 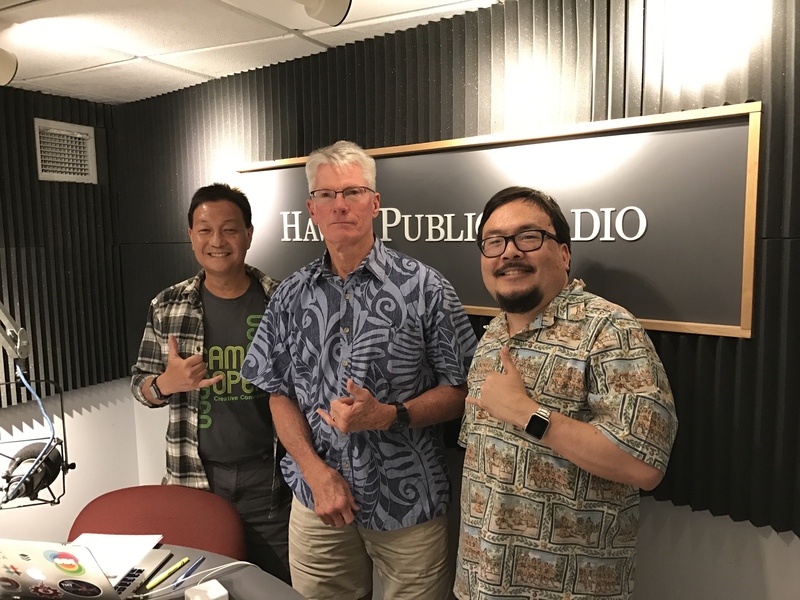 Finally we get an update on the Aerospace initiative in Hawaii from UAV expert Ted Ralston, Jim Crisafulli from the Office of Aerospace Development and Henk Rogers, Chairman of PISCES. Starting us off this hour, Aisis Chen and Noah Hafner from HiCapacity tell us about a Fashion Tech workshop. Then Rob Kelso joins us by phone from Hilo to tell us about PISCES and the Lunar Landing Pad project. 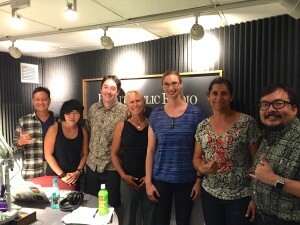 Finally, for the remainder of the hour, we’ll talk to Kanesa Seraphin, Associate Professor in Curriculum Research & Development Group (CRDG) in the UHM College of Education, Joanna Philippoff, co-PI and Program Manager in CRDG and Anuschka Faucci, Education Specialist/Lab coordinator in the UH Dept of Biology, about OPIHI, Our Project in Hawaii’s Intertidal. First we’ll cover some local science and tech stories, then we’ll speak with Joan Matsukawa from HMAUS about the upcoming Springfest. Then joining us is Noah Hafner from HiCapacity to tell us about the upcoming Mini Maker Faire. 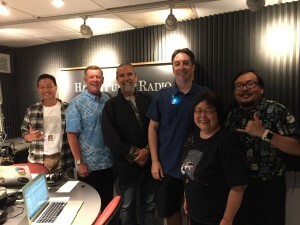 Finally, we’ll talk with Rob Kelso and Henk Rogers about PISCES, the Pacific International Space Center for Exploration Systems. First we’ll cover some local science and tech stories, then we’ll speak with Jake Ross about the Cyber Hui meetup and the latest on CyberPatriot and Hacker Jeopardy. Then Ryan Salcedo is here to tell us about the newly formed Hawaii Drone Club. Finally, we’ll talk with students and teachers from Iolani and Kealakehe schools about their work on the MoonRIDERS mission to the moon. We’ve got a full lineup including Kimberly Petersen and Veronica Shei from Iolani and Justin Brown (teacher) and students, Amy Lowe, Courtney Nelson, and Caleb Bishop.